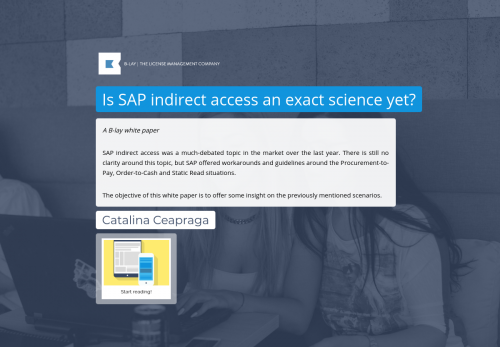 SAP indirect access was a much-debated topic in the market over the last year. There is still no clarity around this topic, but SAP offered workarounds and guidelines around the Procurement-to-Pay, Order-to-Cash and Static Read situations. The objective of this white paper is to offer some insight on the previously mentioned scenarios.